We covered 24symbols last month, when it launched as a kind of ‘Spotify for books’, with a large library of titles ready to read on demand. While most of the currently available titles are public domain, rather than premium bestsellers, the Spanish startup had made a good start at building a service that offers a twist on the traditional e-book market. One problem until now has been that 24symbols was entirely browser-based – not the ideal way to read, but now there’s an iPad app which starts to make the service more useful. The app boasts a simple, minimal interface – ideal for an eReader – that lets you browse 24symbols’ latest titles, books you’ve already started reading and titles you’ve marked as Favorites. It also lets you browse the service’s full library by exploring the Categories section. 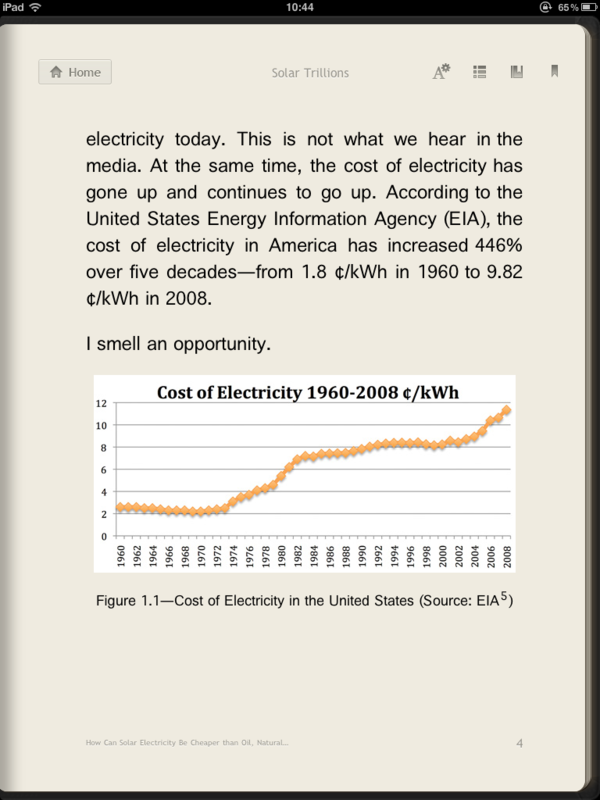 Once you’ve found a book you like the look of, the initial reading experience varies from book to book. The font face and size varies between titles, but the app lets you choose from a huge variety of fonts and sizes, so you should be able to find a look that suits your eyes. The iPad app syncs with your account on the website, so your bookmarks and favourites are saved between both, although the website could do with adding the app’s ‘My Reads’ section as a way of quickly accessing your personal library. One criticism we had of 24symbols last time we looked at it was that the paid-for premium plan really didn’t offer much in the way of an incentive to cough up cash. However, now in addition to an ad-free website, premium account holders get offline access to books on the iPad app – something potentially very useful indeed, while non-paying users will have to pull a book down from the Internet every time they way to read it. 24symbols’ library still lacks the blockbuster titles that will pull in punters in their droves, but it’s early days and the startup is in negotiations with a range of publishers to increase its library size. Still, with traditional eReader apps having to remove direct links to their stores due to a change in Apple’s developer rules, 24symbols shouldn’t fall foul of this as there’s no payment needed. 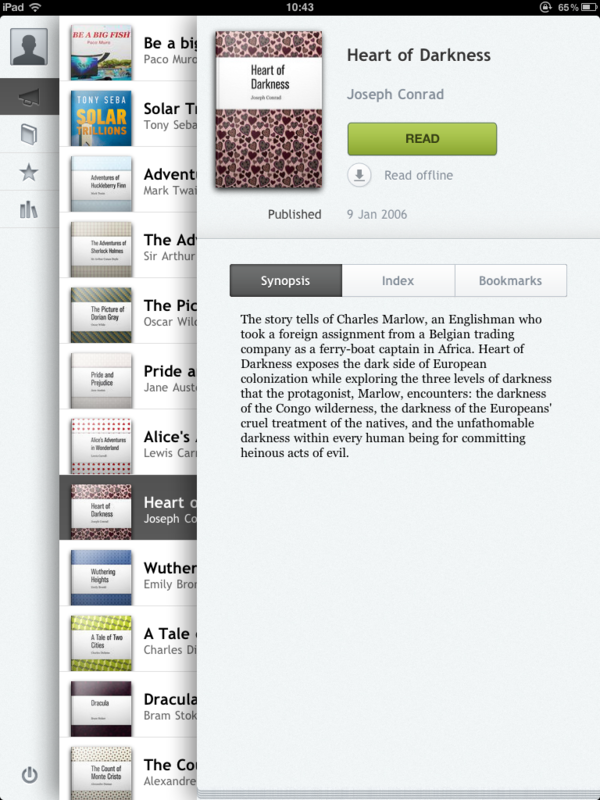 As such, if you want easy, direct access to a range of titles right from an iPad app, this app is well worth a look.